Better yet, what if that you got that money for doing something you loved? In your spare time! I spoke to someone doing exactly that. Kalen is a good friend of the site, and runs a very popular online fashion store in Malaysia. When she started, it was nothing more than a hobby. Now it’s an awesome, profitable business. It’s proof that you can follow your passion, ditch the 9-5 booooredom, and create something you’re proud of! It’s realistic, achievable, and much easier than you think. Kalen did it. And I wanted to find out more. 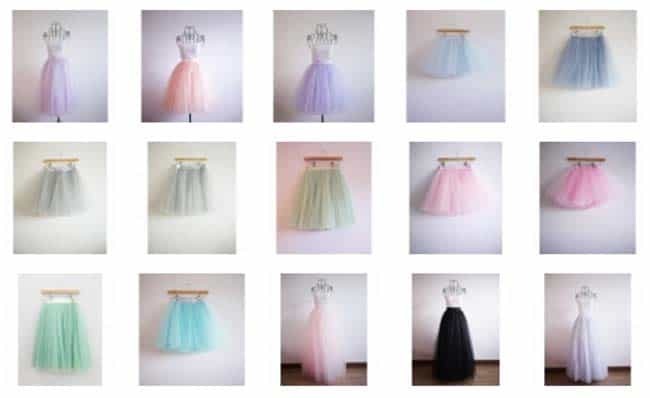 "I always wanted to be a fashion designer"
Based in Kuala Lumpur, Kalen started BonBon Boutique on Facebook. In just a couple of years, she is now the owner of a registered company, and has completed a big career move into fashion. It proves that starting a small passion project on Facebook can be the simple key to your dream job. "I average $1,000 dollars a month, working 4 hours a day"
Kalen works part-time hours on the shop, making a healthy $1,000 per month. That’s a median salary in the USA (pro rata), and there’s loads of scope to increase this income. “In the festival months, the sales are much higher”. You don’t need to run a high-street name or famous brand to make a living from your online store. All you need are some great products, a target audience, and an internet connection! But, it can’t just be about money. There must be some other amazing perks of running a fashion store? "My favourite thing is receiving encouraging emails from our customers"
Kalen’s favourite thing about running the shop is receiving positive feedback from customers. Owning the fashion store is an amazing way to interact with your customers, and like-minded fashion lovers. As a shop owner, seeing people wear your products is a really special feeling. It’s the kind of warm, fuzzy feeling you don’t get at your boring desk-job. And it makes all the hard work worth it. "My first customer was my best friend"
The hardest part of any business is finding those first few customers. But you don’t need a big marketing budget or professional contacts. All you need is a best friend! Kalen’s first sales came from her friends, and it all snowballed from there. Word of mouth is a powerful thing. And if you’ve got a Facebook profile full of fashion-loving friends, then you’ve got a head start! Your friends and family will always be happy to help you out. It’s these first few sales that will get things moving. In those early days, it’s all about word-of-mouth, and building customers and fans one by one. "The store was very easy to set up"
If you’ve got this far, you’re really keen on this idea, aren’t you? You really want to start an online store! But you’re just not sure how to set it up. It’s this tricky technical aspect that puts most people off. So, we asked Kalen about the whole process. 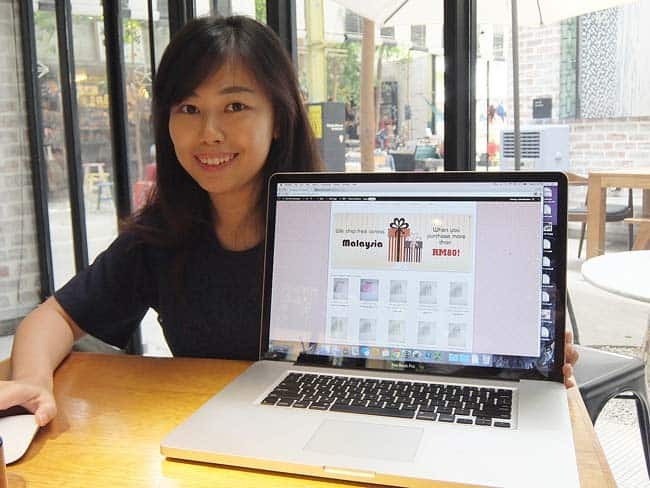 She runs her own website, built on WordPress – the most popular website-building platform on the internet. You simply pick your favourite theme (or design) and decorate it how you want. But what about the tricky business of sales, purchases, and all the shop-stuff? "All I need to do is download the WooCommerce plugin and activate it!" Kalen uses a plugin, or toolkit, called WooCommerce. Once installed, you don’t have to worry about anything. The best part is that it’s almost entirely free. "Finding a supplier is the first step"
The wonderful thing about an online store is that you don’t need to create your own products. You don’t need a factory production line, or even any crafty skills! You just need to reach out to suppliers. It means you can pick and choose the products you like best, and put them up for sale. It’s like curating your own favourite products, and selling them on. "Word of mouth, social media and bloggers drive our sales"
Thanks to the internet, you can run a successful business with nothing but a few social media accounts! Recently Kalen has started to pay for adverts online. Now that she’s putting some of the profits back into the business, she expects even more sales, and a big step up for her company! Before we let Kalen get back to business, we asked her what advice and encouragement she would give to hopeful shop owners. She had some wise words for you all. You can apply this to any industry. Keep searching for new sources of inspiration. Lead your industry with new ideas, and you can sell anything! Starting your own online store is easier than you think! It’s a realistic way make money online, even in your spare time. As Kalen shows, you can quickly turn it into a profitable company. Best of all, it’s rewarding, challenging and exciting. You’ll make money doing something you love! Getting started is simple, and I’ve got a complete guide for you. Kalen, thank you so much for speaking to us, and good luck with Bon Bon Boutique!